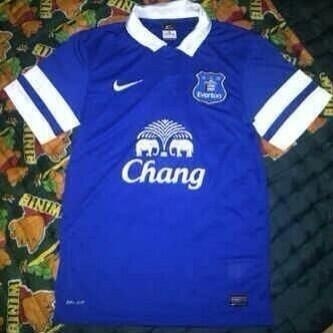 The new Everton kit has gone viral on the internet. Ahead of the official reveal on Thursday, the new top has featured in a 6 minute video clip on the Bolatotal weekly YouTube channel. The kit which features a distinctive white collar and two white bands on the sleeve is the first to feature the new badge. The video is imbedded below, let us know what you think.